When going to a larger tyre size or dropping down to a lower tyre size on a set of alloy wheels it is important to make sure your vehicles rolling circumference remains the same or as close to the original rolling circumference as is possible. Our handy Tyre Calculator lets you see all the acceptable tyre sizes that exist within a 1% tolerance of your original size and also lets you compare two tyre sizes to see if the new size will be within the 1% tolerance of the old size. 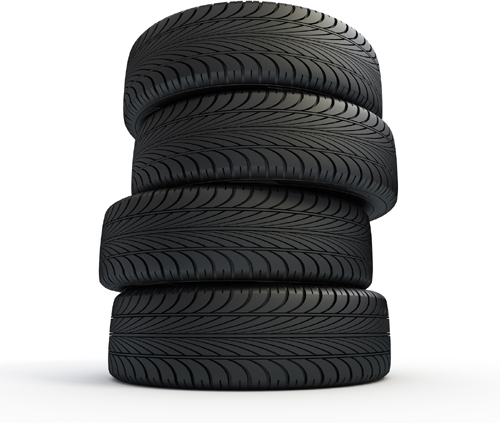 Calculator 1 - Find all tyres within 1% of the rolling circumferece of the entered tyre size. Calculator 2 - Compare 2 tyre sizes. Why is it important to keep the rolling circumference the same? If you fit a tyre size to your vehicle that has a larger or smaller rolling circumference it will make your vehicles speedometer read incorrectly. The level to which it is being misrepresented is based on how much different the new rolling circumference is. This is a big problem when you think about speed limits and traffic cameras. You think you are doing one speed when in fact you are doing another. If the circumference is larger the speedometer will read lower than your speed, if the circumference is small is the speedometer will rear higher than your speed.